Just hours ago, LG announced their latest flagship device, the LG G3. It’s the successor of the well known G2 which was announced last year. This will actually be the real competitor for the the Galaxy S5 and the HTC One M8. The LG G3 packs some really advanced hardware that blows every other Android smartphones away. To name a few, the Quad HD resolution screen. The resolution is so densed that it packs 538ppi, mimicing high quality art books and with the edge-to-edge screen, the 5.5″ display takes up more than 76% of the front face of the phone. The camera is amazing. Having used the LG G2, I can tell you that it was the only Android device that can perform as good as Nokia Lumia’s Pureview technology, sometimes better. With the launch of the G3, they have brought photo shooting up a notch. 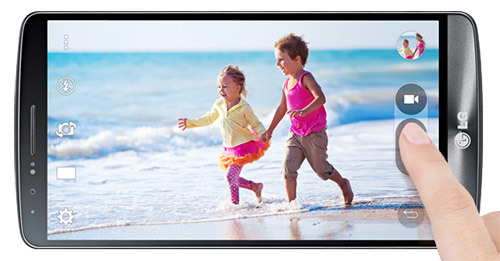 LG introduces Laser Auto Focus on the G3. According to them, it is able to focus on objects faster than the blink of an eye. Previously, this technology is only available on high end dSLRS but now, the G3 is the first smartphone that comes with this technology. 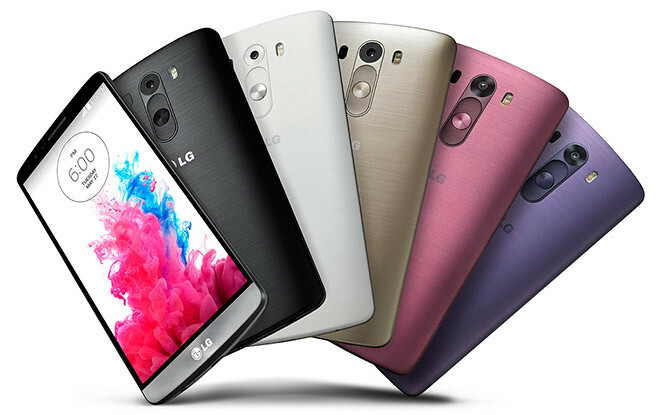 The G3 comes with 5 colours: Metallic black, Silk white, Shine gold, Moon violet and Burgundy Red. From the outlook, it simulates the look of brushed metal, but it is actually plastic. LG calls the new surface a metallic skin, combining polycarbonate with a thin layer of scratch-resistant material. Note that the battery is now removable. A great news for all. Apart from all the hardware improvements, LG has also revamped their interface, giving the G3 a simplified minimalist UI which I think looks superbly appealing. They have also improved the keyboard. 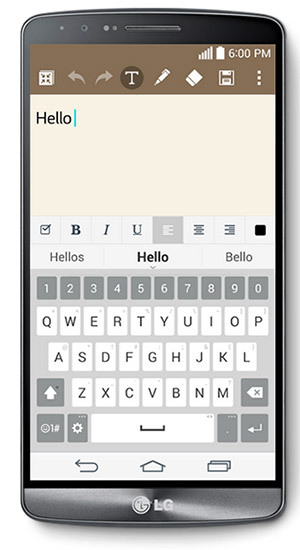 Users can now resize according to liking, move cursor around words by swiping left or right on the spacebar and more. 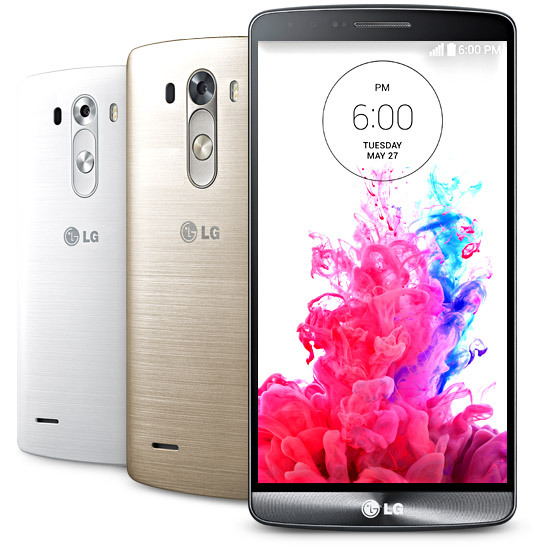 For more info about the LG G3, check out the website.